Northwest National Real Estate: New Listing! Energy Efficient Home! New Listing! Energy Efficient Home! This energy efficient home for sale is located in Fairfield, Montana. The house has extra insulation, low E windows and a heated garage. Built in 2009, but hardly lived in so basically new. 2 bedrooms and 2 bath rooms with a formal dining area. Awesome views of the Rocky Mountain Front. House sits on 5 fenced acres. Come enjoy quiet country living. 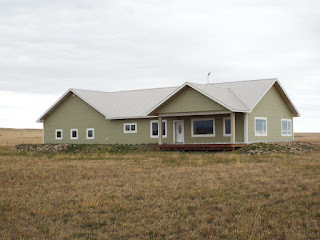 Contact 2 Bucks' Inc. at (406) 466-5102 for a private showing. Priced at $285,000.